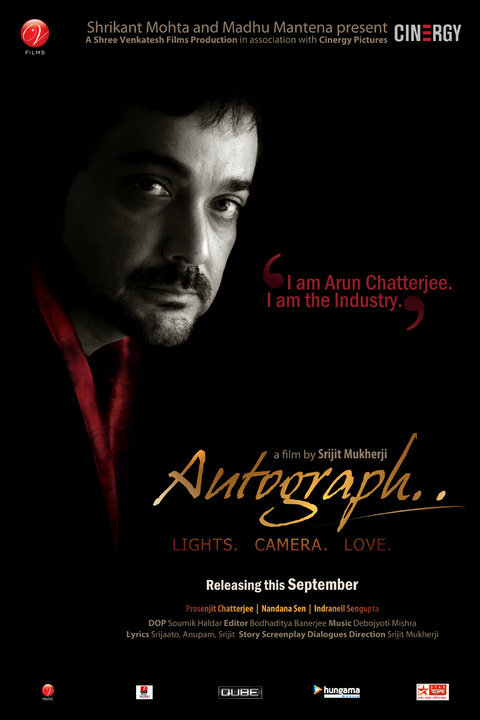 Actor, Playwright and Director Srijit Mukherjee earlier written and directed an English play ”Checkmate” and now back with his new Bengali movie Autograph, that is going to release in September 2010. Economist Srijit Mukherjee, Bengali Film Director, stated that the Bangla Cinema Autograph is to pay homage and tribute to all time favorite Bengali film Director Satyajit Ray's Bengali movie Nayak (Uttam Kumar and Sharmila Tagore's Bangla Cinema). 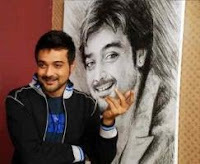 Shree Venkatesh Films presents under the direction of Srijit Mukherjee the new upcoming Bengali film in 2010 Autograph, which is likely to be the remake of Nayak Bangla film of Uttam Kumar. One Director, One Theatre Actress and one superstar - Story of these three characters and their revolving life is the basic story of Bengali film Autograph. The moving tale of three people in Bengali Movie Autograph, which was shot in four cities Bangalore, Kolkata, Mumbai and Santiniketan of West Bengal, has already impressed the Bengali Film lovers with the mp3 song Amake Amar Moto Thakte Dao. Casts of Autograph - Bengali Cinema : Prosenjit Chatterjee (role of Arun Chatterjee), Nandana Sen, Indraneil Sengupta, Rudra Prasad Sengupta, Piyush Ganguly and many more.